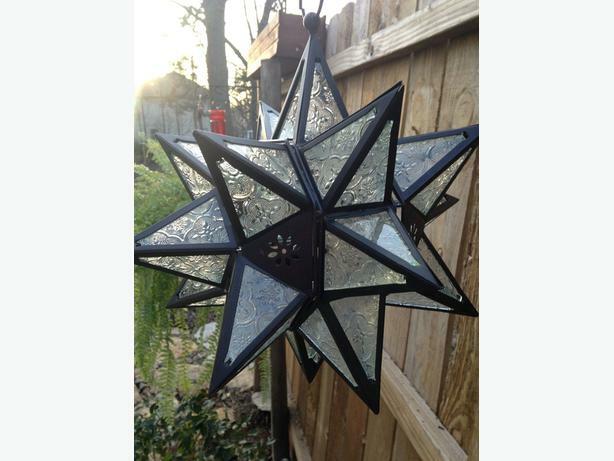 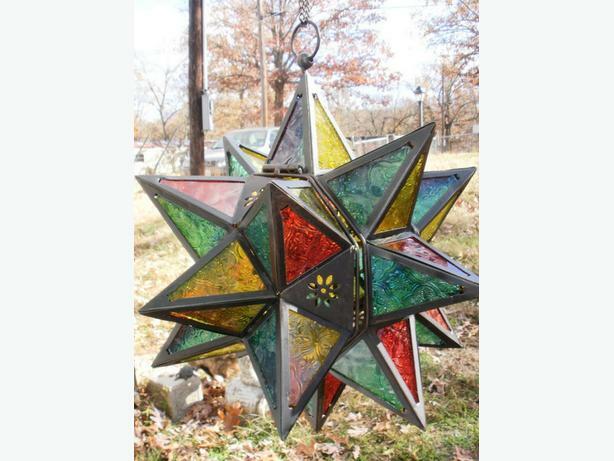 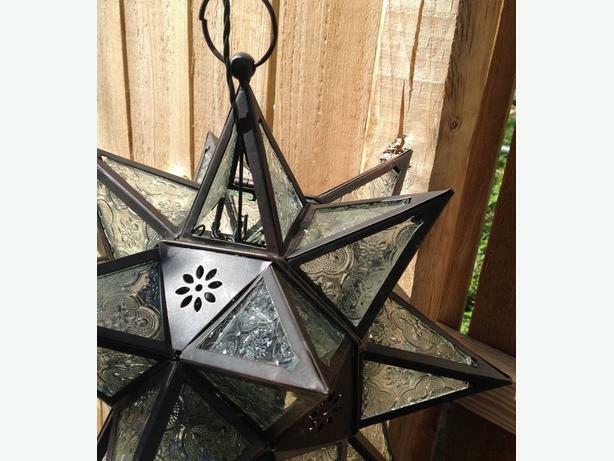 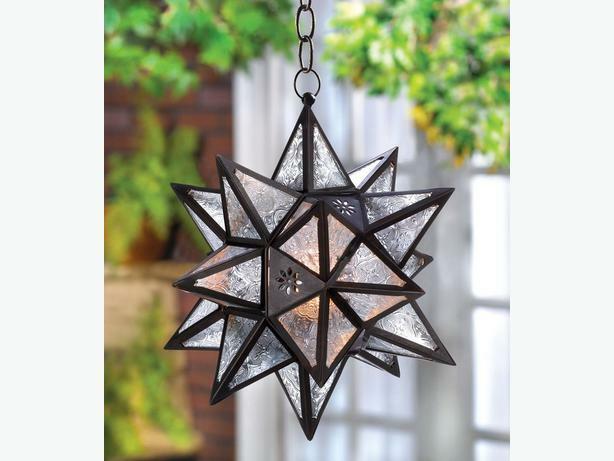 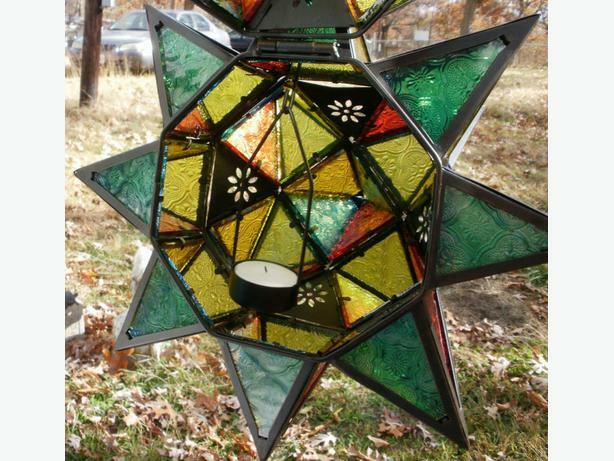 These hanging, Moroccan-style, star lanterns with beautiful, pressed glass panels, create a timeless decoration that adds sparkle & artistic-impression to any occasion, indoors or outside! 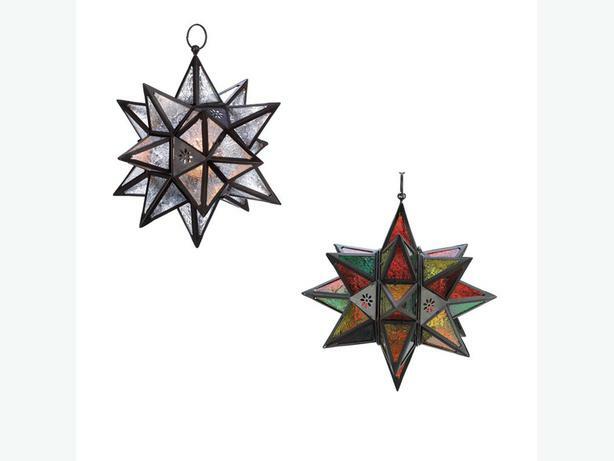 Price is for **Your Choice** of any 2 (chains & candles are not included)...choose one of each or both the same! 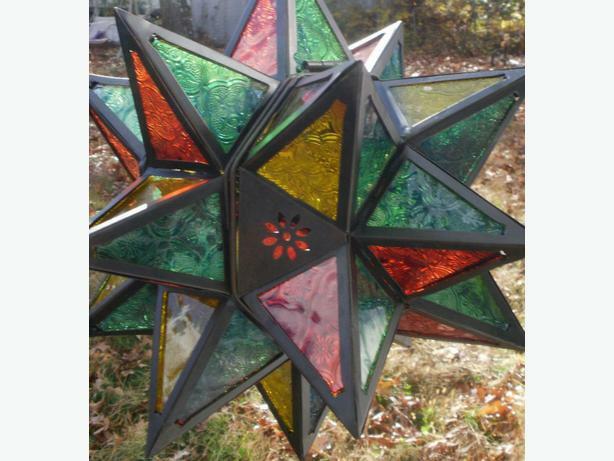 They're both 11" x 11" x 14" & weigh 3.6 lbs. 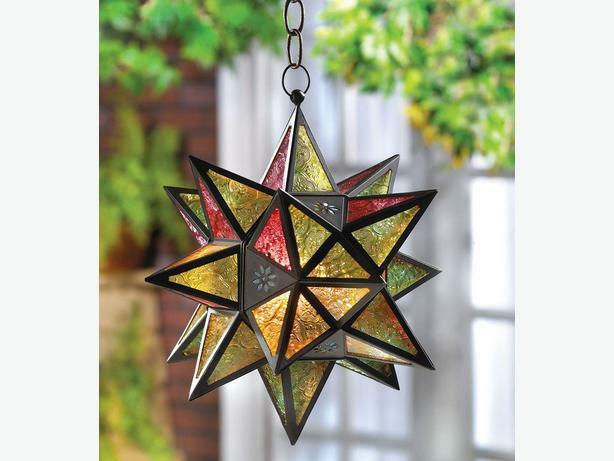 each!